Capricorn is an Earth sign ruled by Saturn and represented by the Goat. Capricorn dates of birth are December 22 - January 19. Those born under this sun sign are calm, cool and collected individuals – determined to push ahead until they reach the top. They are caring and loving, even though the way their show affection is more forceful than the other signs. They are driven by the need to succeed and provide for the people they care about. Capricorn people can be reserved and conservative, and their tenacity makes them excellent leaders and generous providers. They are loyal friends and sincere lovers who will always protect their loved ones. However, they can be so hardworking and driven to succeed, so they can end up neglecting their friends and family. They need to try to be more flexible and appreciate what they have. Get a more thorough insight into Capricorn meaning, personality traits and characteristics and discover what zodiac sign are they most compatible with in the Capricorn dates compatibility section. Capricorn is one of the most persistent and ambitious signs of the zodiac. These people are very patient, dedicated and driven by the need to succeed in life. They will often set extremely high goals for themselves, because they are born achievers. Symbolized by the mountain goat, people born under this sign are always climbing higher and higher – they are never content until reaching the top. They are persevering, cautious and patient individuals. When it comes to love and relationships, they desire a serious and long-term relationship with someone who will give them the affection they crave. Ruled by Saturn, the planet of responsibility and hard work, Capricorns are practical, ambitious and great organizers. As employees, Capricorns are borderline workaholics who will work long hours on the job, constantly climbing the ladder of success. Capricorns are loyal friends but they are very distrusting, so in order to form a lasting bond with someone, they need a lot of time to realize that they won’t be betrayed. Young Capricorns are capable of spontaneous and joyful relationships, but with age, they get more cautious and tend to close up in their own little worlds. They are caring and compassionate friends who will always be there to help. According to astrology Capricorn parents are focused on working hard for their family and meeting their responsibilities. Their intentions are good, but sometimes they can place too much importance on being dutiful providers and not enough on other things that really matter, such as spending more time with their children. As parents, Capricorns will be strict and too rational, which doesn't go well with sensitive children who crave emotional attention. Nevertheless, when it comes to building career, their thirst for success makes a great example for their children. They are also reliable and responsible parents who can raise emotionally strong and successful children. When it comes to love, Capricorns want a partner who shows dedication to moral values. They are most compatible with the signs of Taurus, Cancer, Virgo and Pisces. Capricorns want someone who is strong, reliable and independent; someone they will want to share a future with. Even though they seem cold and distant, once they open up, their seemingly cool exterior turns to warm and cuddly nature. Capricorns in love require patience, persistence and time. They are loyal, devoted and mature, so they won't have any problems committing for life. Even though many Capricorns have a reputation for thriftiness, they do not stint on gifts and surprises for their partners. Many representatives of this sign delay love by pouring their energies into their careers. Many Capricorns lack in confidence, so they tend to be a bit self-conscious about their sexual performance. Never make fun of them, because any kind of implied criticism will immediately end your relationship for good. Capricorn is the zodiac sign that is least likely to kiss and tell – your bedroom secrets and your reputation will be safe in the hands of a Capricorn. Those born under the Capricorn zodiac sign can easily miss out on sexual opportunities due to their fear of rejection. Ambitious, determined, disciplined and hard-working, Capricorns often reach high positions. Being as honest and responsible as they are makes them excellent employees that every employer wants. Capricorns are professional and dedicated, so they like to ensure that any project assigned to them is completed successfully. 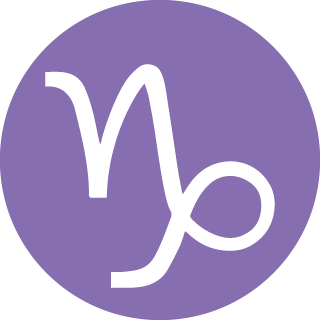 They're generally good with numbers, so it's not surprising to find a Capricorn in professions such as economics, banking or gambling. When it comes to money, Capricorns are rational and logical, so these people tend to come across a great wealth at some point in their lives. They are generous, but this doesn't seem to affect their wealth in the long run. The Capricorn man may not be very outgoing and sociable, but he possesses patience and strong determination power. He is caring, loving and helpful, but he doesn't really know how to respond to flattery and compliments. The Capricorn man is known as the most loyal of the zodiac signs. He is a romantic, loyal and generous partner who believes in family bonding. If you want to impress the Capricorn man, you will have to impress his family members first. Although he's not overly affectionate, he is very close to his family and won't tolerate anyone who does not get along with his family. The Capricorn woman is versatile and can perform very well in any field chosen by her. She seeks trust, care, respect, security and authority. The Capricorn female can achieve anything she wants, because she is patient, ambitious and perseverant. She is socially active and even though she looks very calm and collected, she can actually be easily provoked. The Capricorn woman is very loyal and helpful friend who is always there to listen to other people's problems and offer great advice. She is extremely sensitive and does not like teasing or being the brunt of jokes, so she will go the extra mile to elevate herself into a position where that sort of behavior is not tolerated. A Capricorn woman in love is the warmest and most devoted partner anyone could have. 2017 is a year of big changes for you. You're very ambitious, competitive and aspire to do great things in life, Capricorn. You expect nothing but success whether it's in love, business, or family. Your continued search for success will bring you steady financial gain from February to June when Jupiter directs in Virgo. However, don't let success get to your head and try to stay humble. You will realize that only few can keep up with your pace and therefore it can be a bit lonely on the top of your mountain, so don't forget the people who have helped you along the way. In 2017, you will need to offer gratitude and recognition to your lover, friends, family members, and co-workers. Even though you love praise and recognition, now it's your turn to give, rather than receive. You will find that the more you give, the more you get and the Universe will repay you for kindness and generosity. You prefer to have a rich and exciting love life, and therefore you approach your relationships slowly and carefully. In January you will experience a conflict in your relationship, so whatever the reason, just listen closely to your partner's point of view and try to come to a solid compromise. In June, Jupiter directs in the sign of Virgo, which means that you will experience a happy time in your relationship. On the other hand, if you're searching for love, this is a great time to go out, meet new people and start dating. If you're already in a serious relationship, you should plan a romantic trip in June or July to spice up the relationship. You will be very popular all year long, so it's obvious that you won't be alone and bored. You will be feeling good in the first two months of the year, but in March you may become a victim of illness or injury. You're energetic, restless, and you have a tendency to move through life quickly, wich makes you vulnerable to falls and injuries. Take your time to relax and slow down - it is extremely important to your health and well-being. From July to September you will recover from your health issues and you will be feeling fantastic again. You're dedicated, ambitious, and a hard working person and 2017 promises fame and fortune thanks to Jupiter. Just remember to slow down to celebrate your success. In the beginning of the year, you will feel stagnant at work, which will be a challenge as you prefer to be on the fast track. You will also feel a lack of control with money, so your wallet will be more often empty than full. Try to work trough this slow and tough period which will last until June when Jupiter directs in the sign of Virgo, so you will be able to see a great shift in your work pattern and a change in your financial situation. Success at work will continue throughout the year and in September, you can expect a promotion or an unexpected financial gain of an investment you made a long time ago. This year you'll be in a good mood, Capricorn. You'll have a clearer perspective which will make it much easier to achieve all your goals and dreams and make better choices in life. You're usually very disciplined and hard-working sign, so if you continue to strive for what you want, in 2018 you're bound to succeed. You'll also have more people around you than usual, so this year you can look forward to making new friends who will be extremely honest and loyal. Jupiter will move through your 11th House of Social Interactions, which means that you can expect many blessings and opportunities as a result of your friends and acquaintances. Your friends might even prove to be essential in helping you achieve a personal goal this year. The Sun will enter your star sign in December, so you'll have only one month to feel comfortable in your own skin. Therefore, maintain a positive mind and a happy, healthy spirit and commit yourself to being the best Capricorn you can be. This year you'll finally look at your romantic relationships in a more realistic way. You'll need to find out what you really want in a relationship, and if things aren't going well, then this year might be the right time to end things. Be direct with what you want because this will be better for you in the long run. Uranus will travel through your romance sector from May until early November, which will surely bring some exciting changes in your love life. If you're a single Capricorn, expect to meet someone new, and if you're already in a relationship, expect a sexual revolution. You'll crave stimulation and fun in your relationship, so you and your partner can look forward to more experimenting. In 2018, you'll have way more energy than you have had in the last year. You're also less likely to get injured this year, so this is the perfect time to modify your exercise routine. However, don't push your limits too much and make sure you save some of your energy for when you really need it. This year you might be a little more busy at work, but that does not mean that you'll get bored. In fact, you might even like the idea of being busy and more productive. You'll have more freedom at work to do all the things that you want to do, especially when Mars enters your sign in March and all your plans will succeed. At the end of August, Mars goes directly to your sign and gives you the ability to move mountains. You'll be able to share your brilliant business ideas and even though you don't like taking risks, you'll do whatever it takes to get your projects noticed. When it comes to your finances, this year you'll need to make sure that you organize yourself properly. It's always good to know how much money you have in the bank account. As it has always been with you, Capricorn, in 2019 you will remain the same well-disciplined, goal-driven and ambitious person you’ve always been. Even though you faced a lot of challenges in 2018, this year is going to be much different for you thanks to all those obstacles and challenges that only strengthened you and increased your hunger for success. Governed by planet Saturn, as an Earth sign you are always up for more work in order to achieve your goals. In 2019, however, you will be more likely to give up on having the absolute control and just go with the flow. Nevertheless, this is not easy for you, because you may feel like that’s an entirely different person that the one you know. This year you may meet more than one new layer of your personality, but that’s great. This way you get to throw away those parts of your personality you don’t like and keep those you like. That being said, 2019 is going to be a self-discovery year for you, which is why there are big things coming in all aspects of your life. Relax, not everything will happen at once. These changes are going to be happening slowly as the year progresses and you won’t feel under pressure as you’d assume. You will be extremely compassionate, empathetic and friendly this year, which will help you meet new friends and probably the love of your life. Once Uranus inspires your romance life, your love life will blossom. In 2019, you will be on the right track with your partner and even the wedding bells can be heard. If you are single, however, in the beginning you will enjoy your freedom that allows you to be more productive at your professional life. But since this year has a lot in store for you, you will meet an interesting person that will easily get under your skin. Around August and September, your relationship will be tested on how you relate with your partner. By the end of 2019, you will achieve some long-desired harmony in your love life. Capricorn, you need to be very careful this year. You need to slow down and stop working tirelessly. Instead, reset your schedule and make some time off for yourself. Otherwise, you will be feeling physically tired 24/7. Sure, you got ideas and ambition, but working non-stop won’t get you there. Emotionally, your health will improve since last year as you are entering a pink period in your relationship or, if single, enjoying your freedom. To make sure you will get through 2019 healthy both mentally and physically, make sure you practice self-care and take a good care of your immune system through taking vitamins and minerals on a daily basis. In 2019, you will achieve a great stability over your own finances. If you have any joint finances affairs, however, there will be times you will regret them. Nevertheless, everything’s going to be completed by the end of August, when you will be thinking about a big investment. The way you earn, save and spend will significantly change in a good way. With all power planets working in your benefit, it is impossible not to reach the top of the mountain. The good thing is that you love working and climbing the ladder of success.